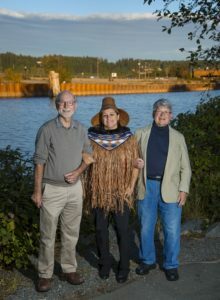 Representing the three partners in the project, Courtenay Councillor Doug Hillian, K’ómoks First Nation Chief Councillor Nicole Rempel and Project Watershed chair Paul Horgen pose for a photo at the estuary, across from the sawmill site that will be restored. Photo by John Bonner. 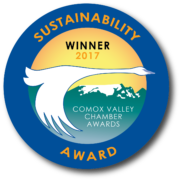 Dignitaries from Project Watershed, K’ómoks First Nation and the City of Courtenay addressed the crowd, and thanked everyone for the interest shown in the project. As was announced in the Comox Valley Record Thursday, Sept. 14, Project Watershed and the K’ómoks First Nation have reached an agreement with Interfor Corporation to purchase and restore the former Field sawmill site on the Courtenay River near the 17th Street bridge.The City of Courtenay is reviewing opportunities to take on the role as landowners, with KFN, once the acquisition is complete. The goal is to restore the decommissioned site, returning it as much as possible to its natural state, and preserving it for future generations. 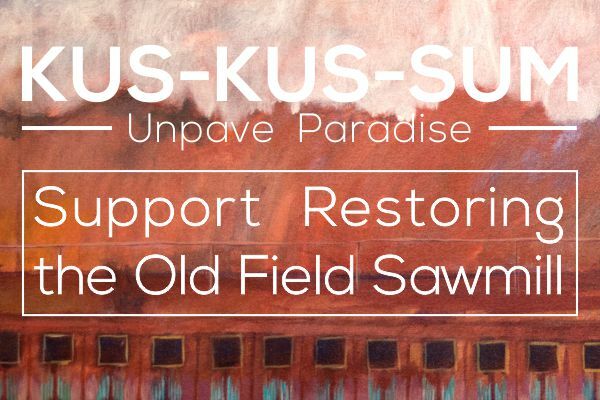 The name for the property will be Kus-kus-sum, in tribute to the village that sat across the river from the site, before the settlement of the Comox Valley. The kick-off event was also the official fundraising kick-off, and Comox Valley residents showed their philanthropic ways, donating more than $20,000 to the cause in the first day. The entire project is estimated at $6.5 million, and the local fundraising target is $500,000. Special thanks to Shane Philip of Island Soul Films for the video production. TERRY FARRELL / Sep. 25, 2017 1:30 a.m.